How many years does an average human spend sleeping? What was your answer? 1 year? 2 years? 5 Years? WRONG! The correct answer is: 20 years! Unbelievable but true. You can do your math! Assuming we will live for 80 years, that’s around 1/4th of our lives being wasted! At some point in our lives, we all have had moments when we have told ourselves “Ah! This is only a dream!” Those were the moments when we had experienced a Lucid Dream. Therefore, for people who love definitions, a Lucid Dream is a dream in which the dreamer is aware that he/she is dreaming, while retaining all the faculties of reasoning, memory and experience. Generally Lucid Dreams occur without our control. In most cases it is only for a few seconds that we realize we are dreaming. We soon lapse back into our dream world and our lucidity is lost. But the good news is that we can learn to become lucid in our dreams. We can also consciously control our dreams every night and train ourselves to remain 100% lucid throughout our dreams. Once we know how to do this, we can use our “sleeping” hours to remain “awake” and do all that our heart desires. What all can we do while we are Lucid? You can go to a tropical paradise or visit the rain forests. Visit Disney world and take a ride on a roller coaster. And the best part is that everything is free and you do not have to wait in queues! You can encounter dream characters and make friends with them. You can even summon geniuses and seek their sage-like advice. You can create a fantasy world and invite fully interactive characters, who can have fun with you as well as help you out with problems. 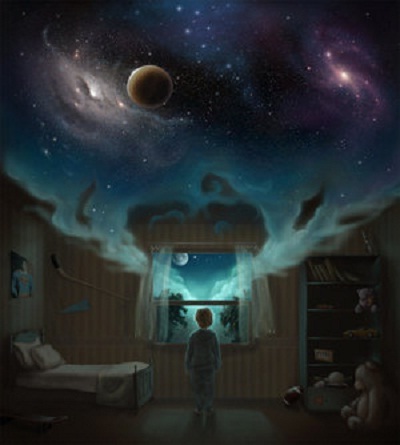 Lucid Dreams allow you to get in touch with your inner self. You learn to depend more on yourself and less on external factors. This self-dependence boosts your confidence and increases your overall state of well-being. You attain self-knowledge and you know who you really are, which is not the same as who you think you are. Lucid dreaming is an extraordinarily vivid and realistic form of mental imagery that can help in polishing your inherent skills. You can rehearse for success in waking life. You can improve your golf shots or become a better motorist. You can improve your artistic performance or become an expert at playing the guitar. If you want to become a confident public speaker, so be it! In fact you can become good at any talent you wish to develop. Lucid Dreams can very well be one of the most effective therapies in curing nightmares because they can be an excellent place to confront your fears. If you know you are dreaming, you will also know that nothing, however unpleasant, can cause you any physical harm. It’s all a dream. So there is no need to run from or fight with dream monsters. Instead you can face your fear and soon the fear will disappear. We all know that the effects of visual imagery on the body are therapeutic. Soothing dream imagery can alleviate pain and improve physical health. And since the dream world offers the most vivid forms of visual imagery, it can be an excellent place to heal ourselves mentally, physically and spiritually. People who are physically handicapped can find themselves totally free from the fetters of their disability. A lame person can run, a blind can see, a dumb can talk, and a deaf can hear! If there are any problems bothering you, Lucid Dreams can be the ultimate realm to find their solutions. You can brainstorm and resolve any issue because you have greater access to your sub-conscious mind, which is far more infinite than your conscious mind. To make the problem-solving session more fun, you can create a boardroom and involve dream characters to give you solutions! One of the most pleasurable aspects of Lucid Dreaming is that you can indulge in sexual adventures. You will not be limited by any physical and moral restraints! You can summon any body you fancy and have intimate moments together. Lucid dreaming is something truly remarkable. But unfortunately, very few people have actually taken the trouble of training themselves in this art. Learning it is not difficult, but does require some consistency. Once you start having lucid dreams, you will thirst for more. If everyone would just learn to take control of his dreams, this world would be extraordinarily enhanced. This is because the root cause of unhappiness on our planet is unfulfilled desires. These desires create a void in a person making him angry, remorseful, and even depressed. But during a lucid dream, he can have all his desires satiated, thus removing the void he harbors. If most of our desires are satisfied, wont our world be a better place? You bet, it will. Lucid dreaming is an excellent tool at your disposal every night. Why not take advantage of it and start being “awake” while you “sleep”? Your dreams really do provide a great opportunity to grow, they mean so much….and 30 years of your life? Why throw it down the drain by ignoring their significance?